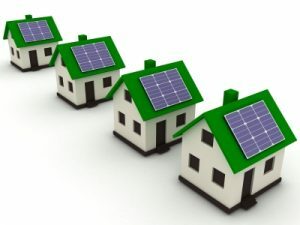 The kind team at theecoexperts.co.uk have written a helpful guide to solar panel roofing systems to help you better understand the different types of Solar Energy panels. Homeowners are often seeking out a solar panel roofing system for their homes. Why is this? Solar energy has its benefits for each individual person, but the three main reasons include: environmental impact, financial benefits and energy independence. Helping to maintain a clean and healthy environment while also reducing costs is appealing for any household. It’s not hard to see why solar energy is important and to harness its power you could consider a solar panel roofing system. What is a Solar Panel Roofing System? A solar panel roofing system is a particular type of solar panel designed for the roofs of homes. It is structured for the collection of photovoltaic energy for conversion into usable energy sources like electricity. By harnessing the natural energy of the sun, the conversion of it into that renewable energy source is used to do anything from heat water to operate the lighting systems throughout homes. There is also a type of solar panel roofing system known as solar thermal collecting. This takes the energy, absorbs it into a liquid medium and uses it at a later date. This type of solar energy is usually stored within battery bays. The thermal collective variety of solar panel roofing system is the most common. These buildings will completely line their roofs with these hot water panels in order to absorb that energy. The liquid is then run through pipes attached to an absorber panel. In the home, this liquid is often water, but there are other types of liquids used by larger scale facilities. The deep black colouring of these solar panels enable the absorption of as much energy as possible, allowing for the heating of water for an entire house and sometimes entire business buildings. In order to have an electrical producing solar panel roofing system, one must have photovoltaic panels. These particular types of panels are specifically used for the storage of electrical energy. In smaller homes, these panels are very common but larger buildings usually find thermal heating to be more efficient. A solar panel roofing system of this nature consists of large photovoltaic cells fixed to the roof – as this is the most ideal location due to the direct sunlight. Not only is this most effective, but the placement of these panels on the roof can also be more aesthetically pleasing. Some individuals can find the large, bulky panels to be unsightly when placed on the ground. The energy gathered from this form of solar panel roofing system is stored in batteries in order to power the household. If you’re thinking about adding solar panels to your property, don’t forget to speak to your home insurance. Some policies include cover for solar panels as standard, whilst with other policies you may need to specify it.